As part of my practice learning experience during my second year of training, I undertook a community placement with a health visiting team. The interprofessional team was based in a deprived area, with an ethnically and culturally diverse population. Most of the families were refugees, who had migrated to the UK to escape war. Working in partnership with the team, I visited the families at home to assess the development of infants and young children. Parents would also bring their children to the child health clinics. I soon realised that many parents had not received adequate health education and advice following the birth of their infant, which threatened their child’s safety. They were also unaware of how to adopt the infant safer sleeping position, meaning there was a high incidence of Sudden Infant Death Syndrome (SIDS) in the area. The health promotion resources displayed around the health centre were only written in English, yet the population was predominantly non-English speaking. This prompted me to look at ways of improving the way information was communicated to families, and I started researching up-to-date, evidence-based practice that would help me to provide them with clear, safe, practical information. 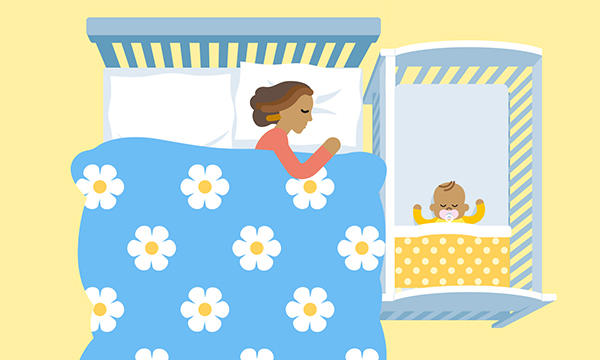 The best available resources were produced by The Lullaby Trust, a charity that raises awareness of SIDS, provides expert advice on safer sleeping for babies and offers emotional support for bereaved families. It had produced engaging posters, leaflets, flash cards and other resources offering safer sleep advice, but what attracted me to this source of evidence the most was the range of different languages in which the materials had been created. These resources were a great help in enabling me to respond effectively to the communication needs of the diverse ethnicities and cultures in the local community. After spending two weeks preparing the materials, I presented safe sleeping education to the families in the health centre over the course of a week, predominantly in the child health clinics. I engaged families using visual, written and spoken methods of communication. Motivational interviewing skills were also employed to help the families feel empowered in eliciting change and accepting health advice. To further develop a culturally sensitive approach, I organised for interpreters to assist me in providing advice to parents. This ensured that the information was disseminated using communication strategies that helped individual needs. By acting as an advocate for the cultural needs of the families, my goal was to improve the care of infants and young children in the community, ultimately reducing the incidence of SIDS. I also wanted to eliminate health inequalities and make the families feel empowered and included in health promotion projects. I encouraged the families to take the educational resources home so that the advice was readily available and accessible to them in their own language. The inclusive nature of this approach helped engage the families, who were receptive to the information delivered. Many said they had an increased sense of confidence and a greater understanding about how to maximise the safety of their baby in their role as new parents. The safe sleeping resources remain in the children’s centre for families to engage with and take home. There has also been interest from the public and professionals and they have helped inspire students on clinical placement. Embracing the opportunity to develop a sustainable innovation helped me to develop a range of interpersonal skills and improve my cultural competence, both of which are already enhancing my professional effectiveness in my nursing practice. I actively encourage all nursing students to see challenges in practice as opportunities to make a real, long-lasting difference. The learning experience gained while developing innovative projects will truly enhance your ability to deliver the best possible nursing care.